Deep cleaning your home goes beyond hitting the high spots, vacuuming the center of every room and swiping at the kitchen and bath counters. In addition, the benefits of deep cleaning can be found in improved indoor air quality and overall cleanliness, which leads to a happier disposition. In a study conducted by Clorox, the famous bleach product, the results pointed to people who enjoy house cleaning as being more relaxed and more focused, as well as enjoying improved sleep and productivity. Adults reported that their kids studied better in clean rooms and half-believed children and teen behavior was more positive. The whole cleaning regimen at home can be a DIY kind of job or contracted with professional house cleaners who have expert skills and access to the best toxic-free products and equipment. Hiring a maid cleaning service and keeping things tidy in between makes it a joint operation with mutual goals. Just knowing that a clean home environment improves critical thinking ability and reduces stress is enough motivation to keep a clean house, condo, apartment, townhome, loft or mansion. Light bulbs and lampshades. Maximizing light, especially in winter when daylight is dramatically reduced, can ease the eyes and keep as much brightness as possible indoors. Clean windows thoroughly during warm months, then spot clean dog nose smudges and other dirt monthly so natural daylight is permitted to stream through clean glass. Light bulbs are often overlooked for dusting simply because they are not as visible as a picture frame or trim, but they need serious dusting as well. Ceiling fans. These come with two settings to force air down (winter) or draw air up (summer). Be sure the setting is correct. One good way to remember this is flip the switch when the clocks change into and out of daylight savings time. Dust the paddles and housing for best performance from the motor and the unit. Trash cans. It is so easy to overlook washing out all the trashcans in a house, but these are often perfect places to harbor bacteria and wee mites for having dampness and small spills, even if they are routinely lined. Take each one outside to hose and wash with sudsy water, then sprinkle baking soda in the bottom and place extra liners there for easy replacement each time. Window treatments. There are several brush gadgets, which make this job much easier with mini-blinds than taking them down and trying to clean in the bathtub. Deep cleaning the blinds and firmly but gently dusting cell shades and other window treatments prevent anything from finding a home here. Taking down drapes and tossing in the dryer with a damp cloth saves on dry cleaning and can refresh the fabric and remove the dust. Dust and vacuum every window corner and the trim above and around it. Kitchen drawers. As some of the most highly used drawers in a home, these collect a variety of debris. Remove everything and vacuum the drawer before wiping it with a clean, damp rag. Be cautious with water on engineered wood products, and line it before sorting what was in there and removing what might not be used or needed often or at all. Faucets. Learn how to take apart a faucet and clean it well with vinegar and water. Showerheads should be deep cleaned, too, so water flows unimpeded, leaks are non-existent, and there is no damp attraction to bugs. Dishwasher. Credit Josephine Cochran with inventing the dishwasher for which she received a patent in 1886. The company she founded to manufacture her product eventually became KitchenAid®. To keep this modern marvel in top-top condition, run a cycle with just one cup of vinegar and 1/2 cup of baking soda. Upholstered furniture. Here’s the place to find coins, popcorn and crumbs, so take out every cushion or lift it as much as possible to gather out stuff before using a hand vacuum in every corner. Then vacuum every cushion on all sides before putting them back in place. Electronic cords. Dust can practically grow on the backs on TV sets, computers and other things which stay plugged in 24/7. The best way to clean is to remove each cable and cord, wipe the end, the cord and the connector part gently or use a soft brush, and then replace them. Take a photo before unhooking cords, so you can see precisely where they were to put them back correctly. Move furniture to vacuum. Running the vac around the middle of a room may make it look nice, but the deep cleaning model involves moving beds, couches and chairs to clean in hidden spots that miraculously collect measurable dust and dirt, coins, toys and other small things. To prevent permanent carpet indents, reset the furniture a couple inches from where it was. From hitting the high spots to deep cleaning in low and hidden places, the whole house deep cleaning scene is one, which positively impacts our work, our play, our families and relationships and even our moods and frame of mind. 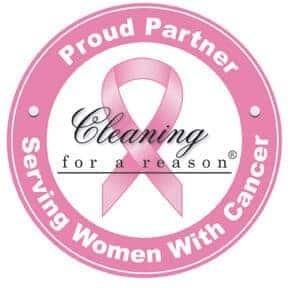 It is not really an option, but more of a decision about how much of the house cleaning and deep cleaning tasks you tackle and which ones and how often you contract with a professional house cleaning service.